Sunny Ariel - Author of "Shalom my Love"
Sunny Ariel was born in Liverpool, England. She holds a BA in English Literature from Philadelphia's Temple University. She started her career on Madison Avenue and has created promotional and publicity campaigns for a variety of clients, including Finnair Airlines, Vidal Sassoon, and Leonard Bernstein. She then held the position of Marketing Director at the Jewish Publication Society. 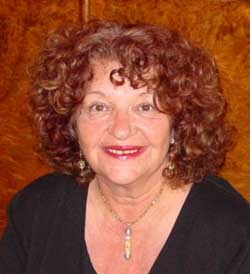 Later, she formed an advertising and public relations agency in Jerusalem and published a weekly newspaper in Israel.